Solar power has great potential as a renewable and clean source of energy. Sulzer develops performance-critical components for the operation of solar power plants. The global demand for power is continuously increasing, while traditional energy sources are becoming scarcer and environmental concerns are rising. 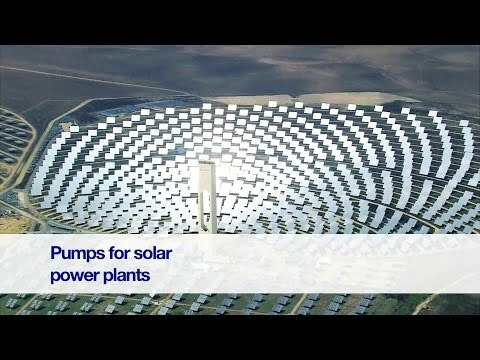 Thermal solar power has great potential as a renewable and clean source of energy. Sulzer holds leading positions for performance-critical components in thermal solar-power plants and offers a wide range of products and services for the solar-power industry. Sulzer offers a comprehensive portfolio of pumps and related services for leading solar technologies like Concentrated Solar Power (CSP). Single pumps and total system solutions are available for the CSP island as well as for the turbine island. We also provide services for turbines and generators.